Make your site fast enough for whatever your business can throw at it. Every time a visitor comes to your site, their computer demands the immediate attention of your server. This works out just fine for smaller or lower traffic websites, but as your site grows it’s going to reach a point where your server just needs help keeping up with all its visitors. That’s exactly the point of a CDN. When your site get overloaded with requests, it can delegate basic traffic to a more specialized service like a CDN while it keeps the more complex traffic – like building your WordPress page – squarely in its capable hands. If you own the fastest car in the world, but traffic is down to one lane for construction, you’re stuck crawling-along with everyone around you until the traffic clears. Websites work exactly the same way with their hosting. If your website is a finely-tuned machine, but it’s waiting on an overcrowded host, your visitors will only experience your host’s slowness, not your site’s speed. Whether your slow hosting is due to a trusting a cheap 3rd-party host, or using your own server with stock settings, bad hosting prevents site performance. That’s why every total optimization comes with either a hosting migration OR a server optimization depending on your website’s current setup. Total Optimizations are designed to optimize every aspect of the site from the WordPress configuration all the way up to the hosting infrastructure. In fact the only thing they are not designed to address are the rare problems that can only be fixed by recoding some part of your site. Whether you want to ditch the hosting you have or just squeeze every last ounce of horsepower out of the hosting you already have, there is simply just no way to squeeze any more speed out of your site and hosting than what you can will with a Total Optimization without rebuilding some part of it. That’s what makes the setup so ideal for e-commerce sites where every second makes for a conversion rate improvement. With Total Optimizations, you will absolutely notice an immediate improvement in load times and stability once one is complete. Since they are designed to squeeze every last ounce of speed out of your existing WordPress and hosting setup, they touch on every major part of the site that impacts its speed. And because of that, they’re ideal for every type of WordPress site. How is this different from Basic and Advanced Optimizations? Advanced Optimizations are our most popular package because they’re designed to squeeze every last ounce of speed out of your site without having to recode it or change your hosting infrastructure. If you have the budget and desire to do that, but are married to your existing hosting infrastructure then it’s the right fit for your situation – regardless of whether your site is just a small business site, blog, or something more complex like an e-commerce site. Total Optimizations are designed to eliminate every roadblock your site has to improving its site speed short of rebuilding some portion of your site. 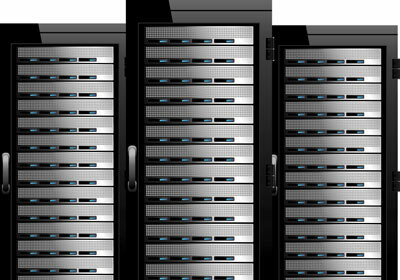 If you have a dedicated server/VPS or are willing to switch to a more speed optimized web host to solve the problem, then a Total Optimization is designed to handle just that and is the ideal choice for very high traffic or very complex websites. Yes. Total Optimizations are designed to squeeze every ounce of performance out of what you have – both in your hosting and in your WordPress install. Yes, all of the items that can be addressed on your website without breaking parts of it , will be addressed with a Total Optimization. So any issues that are reported that can not be fixed without breaking your site would still be unaddressed in those reports, but all other types of issues would be addressed to the extent possible with your WordPress setup. Yes. E-commerce sites like WooCommerce, forums, blogs w/ comments, high traffic sites, custom sites, and other more interactive sites all require more processing power in order to function as expected. As an example, a very common complaint amongst e-commerce site owners is that the checkout page is slow. Given that the site has to process a credit card, complete an order, calculate shipping/taxes, and more – often for several customers at one time – the checkout page is already geared to be slower than other pages. But when you take a site that is configured with stock WordPress settings and put the weight of e-commerce behind it, you typically find that the checkout page is also being artificially slowed by all kinds of misconfigurations – often the sort that you will never see in a speed report from major vendors like GT Metrix or Pingdom. And if you’re using a dedicated server, VPS server, or low quality hosting on top of that, you can couple that slowdown with either stock server settings (and their slowdowns) or with just insufficient horsepower for the site to operate smoothly. Ultimately when your checkout page is slow, you can more readily feel the tie between speed and conversion than you can with any other type of site. That’s why Advanced and Total Optimizations are specifically designed to handle those sorts of problems. 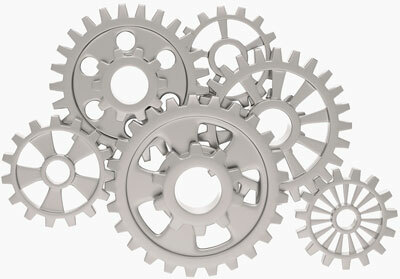 Total Optimizations can usually be taken care of inside of a 4-5 business day window. Yes. Our Total Optimization package does include the option to switch hosting providers if your current hosting provider is part of the problem. Yes. Both the Advanced and Total Optimization packages do include image optimization as part of the service. Yes. 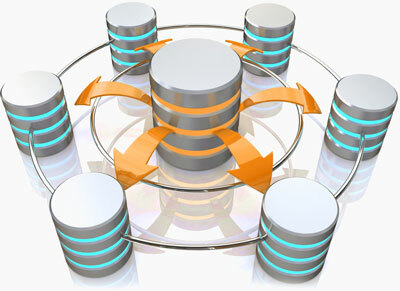 Both the Advanced and Total Optimization packages do include database optimization as part of the service. What if my site is not just a WordPress install? Can you still help? Yes. Improving the speed of WordPress will often improve the speed of the rest of your site too. If you have this type of setup, an Advanced or Total Optimization is the closest fit for your scenario. Advanced Optimizations focus strictly on WordPress and shouldn’t be expected to have as dramatic of an affect on other parts of the site. Total Optimizations do include server or hosting optimizations so those do tend to more noticeably impact non-WordPress parts of the site. Ultimately if you are having problems with the speed of something that is completely outside of WordPress, though, special attention needs to be given to just that. In special cases we do extend support to those non-WP areas of the site and if you would like to discuss that possibility with us, just contact us so we can discuss directly.